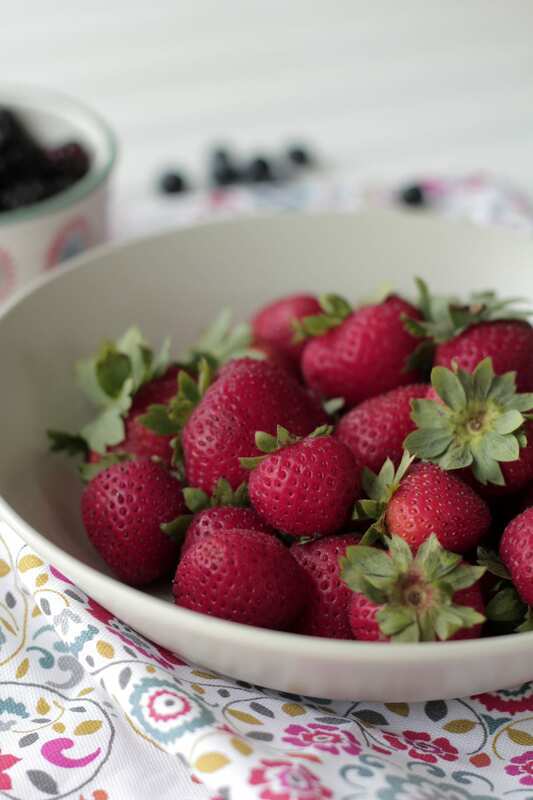 I eagerly stalk the markets and grocery store looking for the first signs of summer: sweet berries. The moment the first green box filled with little berries appears, my heart flutters. 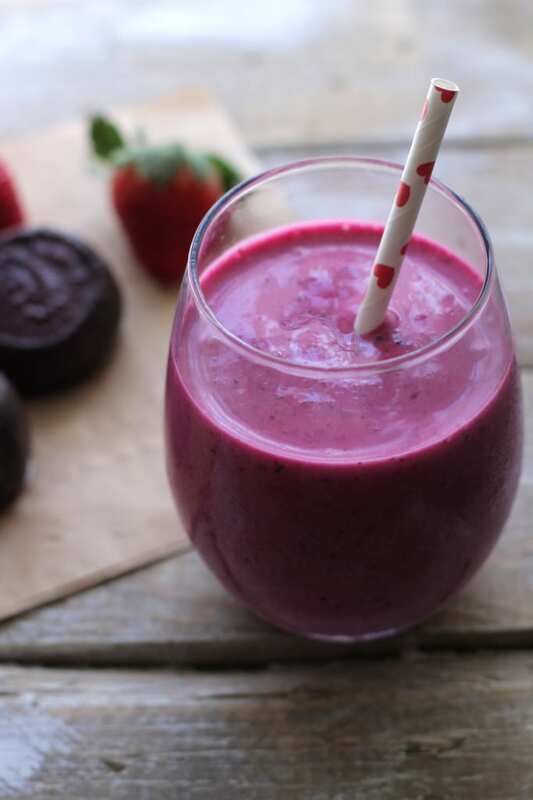 Seriously, the berry love might just surpass the banana obsession. Once berry season arrives I’m a woman on a mission, snatching up berries at every sighting. A sale on strawberries? Yes, I believe I need 10lbs of strawberries. Blueberries are half off today? Come to Mama, my sweeties. Yea, it’s a syndrome, the “must have all the berries” syndrome. Perfectly healthy and 100% addictive. I can’t be the only one suffering? 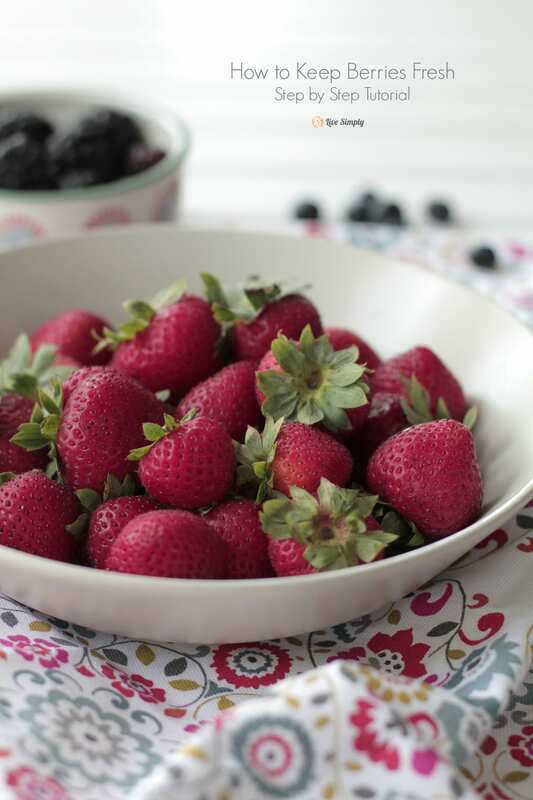 Berries are sweet and beautiful, but the moment the little gems sit in the fridge for just a couple days they begin to grow a berry-lover’s worst nightmare, mold. Today, I’m here to save your frustration and that little green box of perfectly ripe berries with a simple homemade bath tutorial. 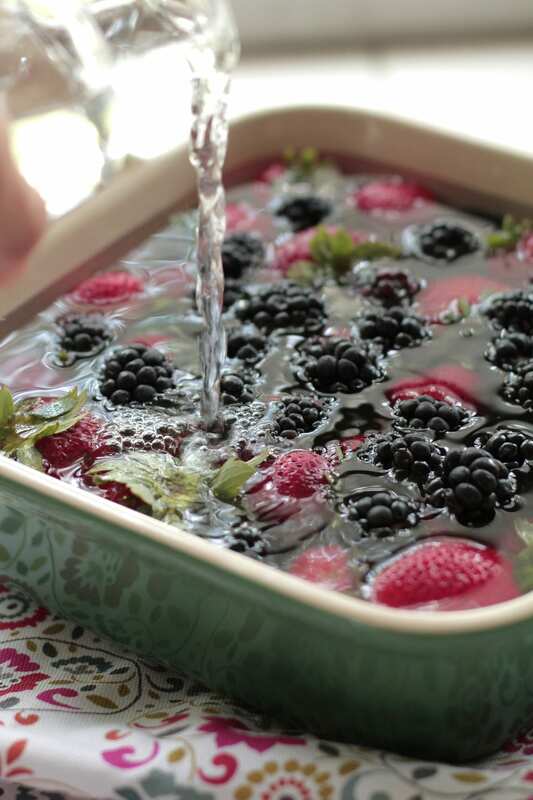 Take those berries out of the little green basket, it’s time to take a dip. In a large bowl or sink add three cups of water to one cup of vinegar. 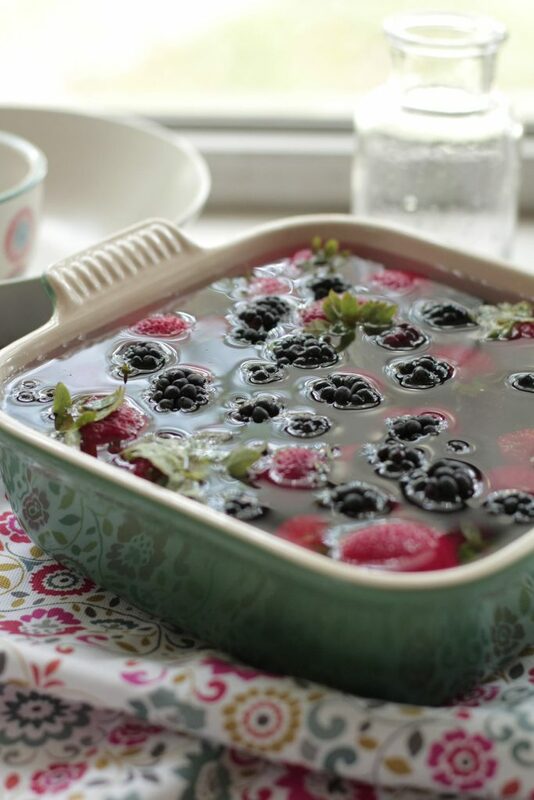 Soak the berries in the water and vinegar bath for five minutes. 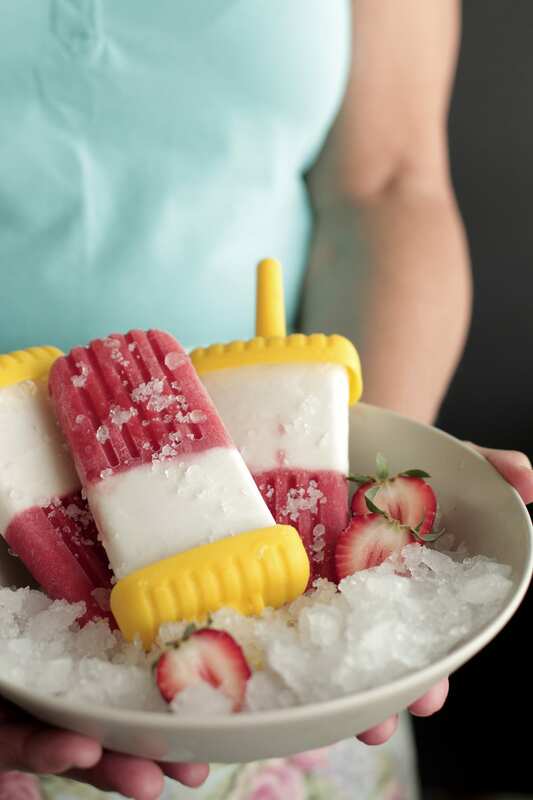 Remove the berries and gently pat dry. 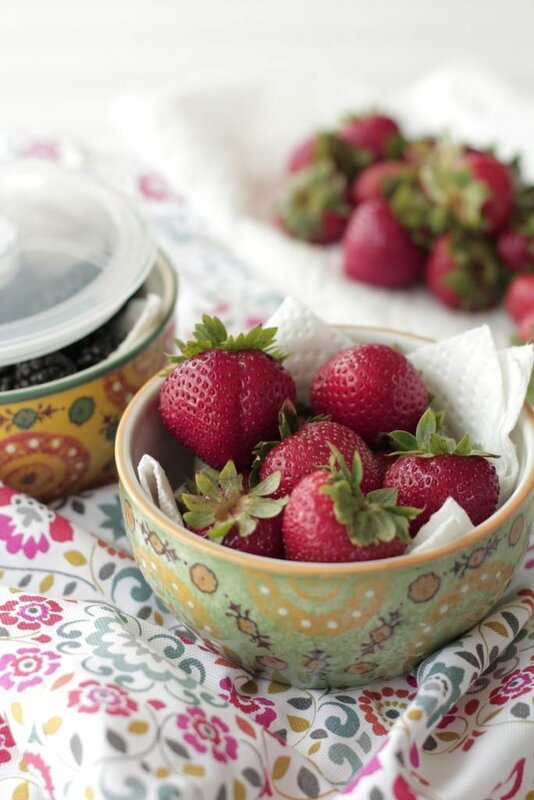 Store the berries in a container lined with paper towels. Keep the top cracked so moisture can escape. 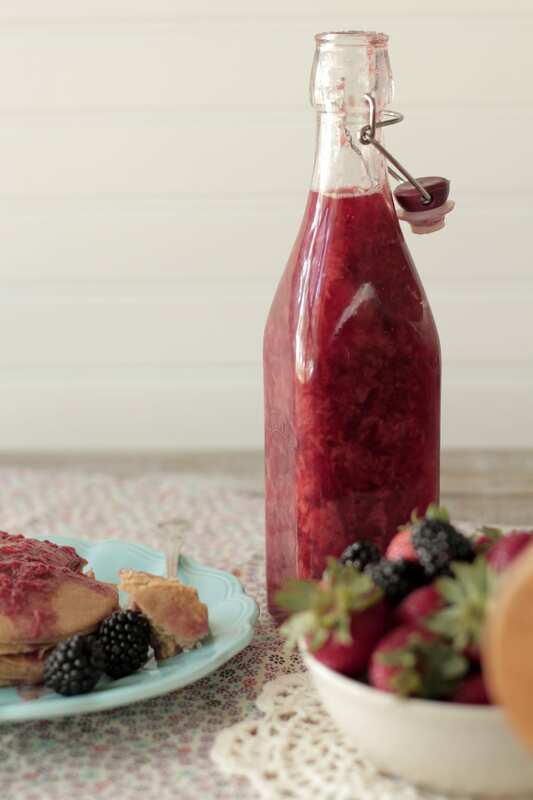 Store the berry container in the fridge. 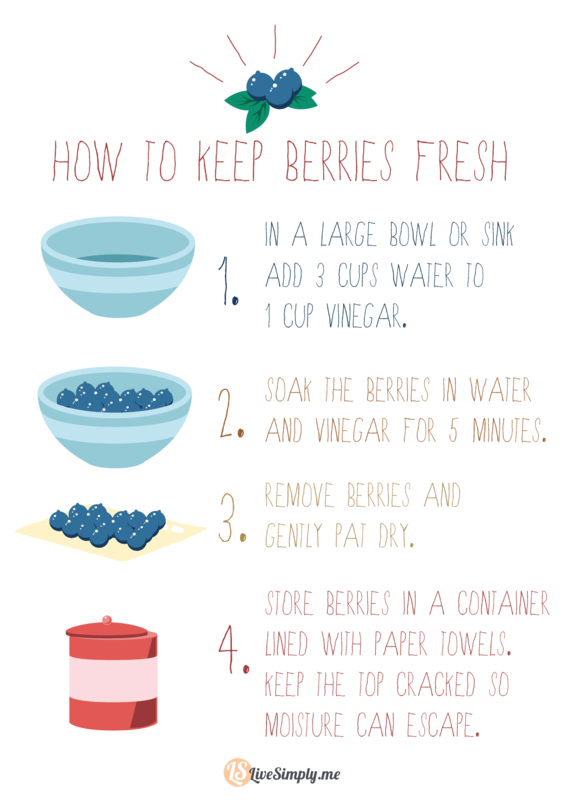 This method of washing will keep berries fresh for about a week, sometimes longer. 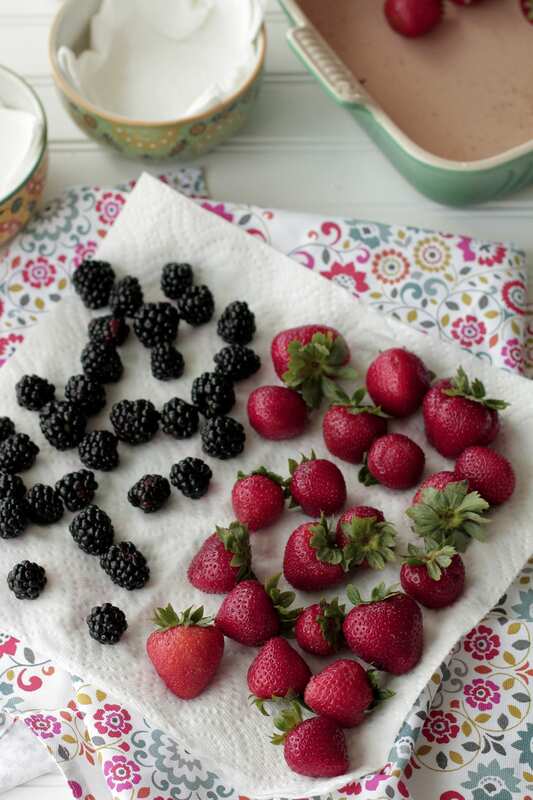 Happy berry season! I haven’t done exactly this but similar (vinegar in water, just not measured) and my kids said they could taste the vinegar and wouldnt eat them. Is the vinegar taste out the way you recommend? Hi Karen, I’ve noticed from time to time the vinegar taste can be present. When that happens I generally just wash the berries before we actually eat them with cold water. Where do you store the berries? The frig? On the counter? Hi Dee, I keep the berries in the fridge. Hi Elaine, Apple Cider Vinegar is perfect for this wash.
Where did you get the cute bowls with the lids?! Thanks for creating this wonderful post. You are doing great work. Keep it up. Thx for this! I too am wondering where you got the cute bowls with the lid…. Love them! Hi Marci, Thank you. I found the bowls at Home Goods last month. Is it necessary that the bowl be covered, or will it be okay to have it uncovered in the fruit drawer of the fridge? Thanks for all the tips! Hey Glenda, If the berries are kept in the crisper drawer they may be okay.